Another part of the house is laundry area. This is the place where we clean our clothes. The laundry room is commonly equipped with washing machine, clothes dryer, large basins and other cleaning materials. A laundry area is mostly located at the most corner par of the house. Because this was commonly located in a corner area decorating in this places were not given very much attention. Interior designing were not also applied in the main parts of the room, we also need to decorate the every part of our house as much as possible to beautify your home as a whole. 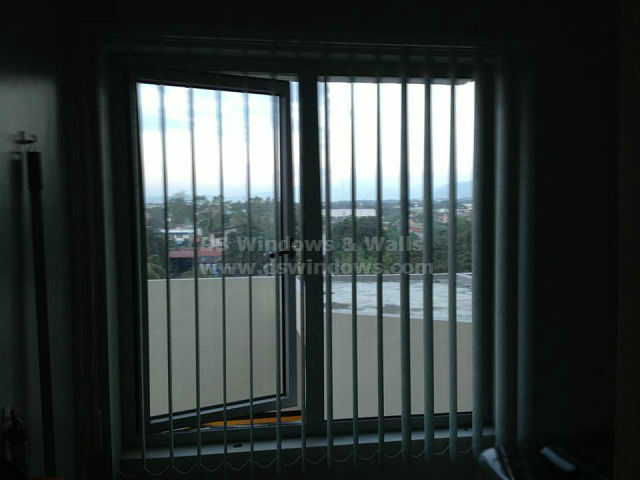 Just like our client from Marikina, they opted for PVC vertical blinds. This was installed for their laundry area. PVC vertical blinds are made from plastic which is ideal choice for moist area like in bathroom and even in laundry area. Aside from being water resistant most people choose this because it is durable and low cost. PVC vertical blinds is easy to control, it has vertical slats that rotates or pull to the side of the window in order to adjust the amount of light that will pass through your window. You can also choose a color that you want, PVC vertical offers a wide range of colors that will suit best for your window. PVC Vertical Installed in Marikina City. DS Windows & Walls offers FREE measurement within Metro Manila. 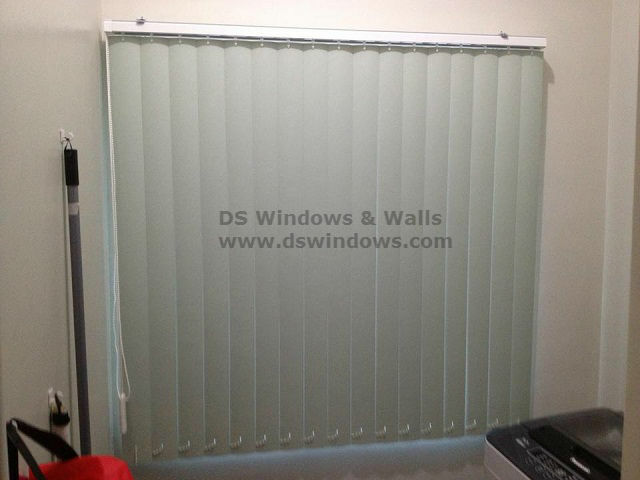 For more information you can check our website at www.dswindows.com or you may call us at (02) 893-1373 / (02) 403-3262 / 0916-311-3909 and send us your inquiries at inquiry@dswindows.com. You can also visit our shop at the 4th level Waltermart, Makati City, 3rd level Robinsons Metro East, Pasig City, 2nd level Pacific Mall Lucena City.